If you missed Friday's broadcast fear not! You can find the (always free) archive MP3 file by clicking here. Stream the show from the Podbean site or download it for later. (Collect 'em all!) 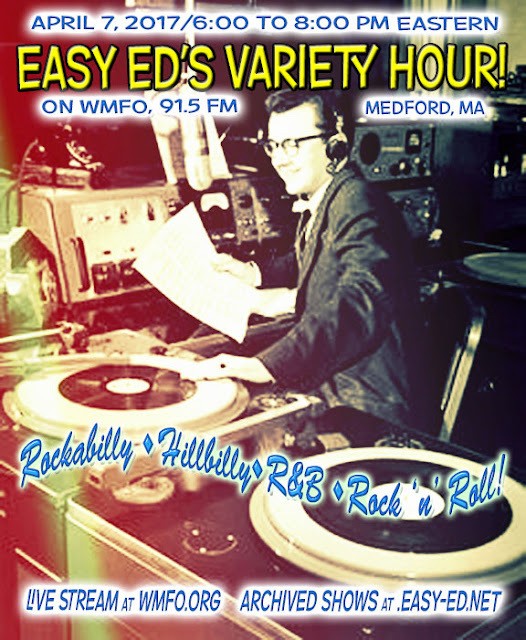 Thanks so much for listening, and, if you like what you hear, please let us know on Facebook. The songs from this episode are listed below. 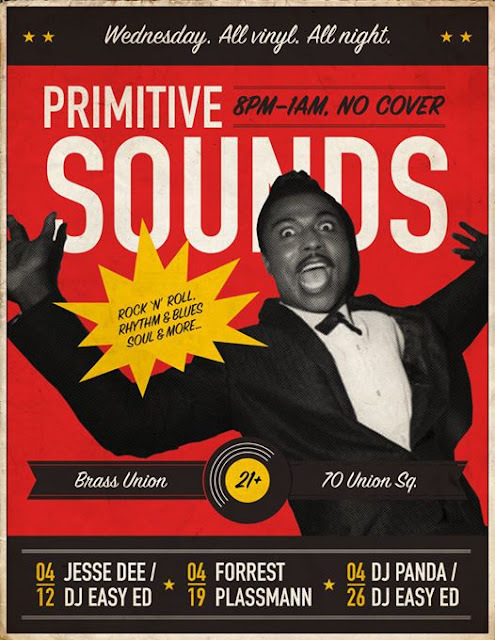 April 26: You'll find Easy Ed spinning the Primitive Sounds with DJ Panda at Brass Union in Somerville! 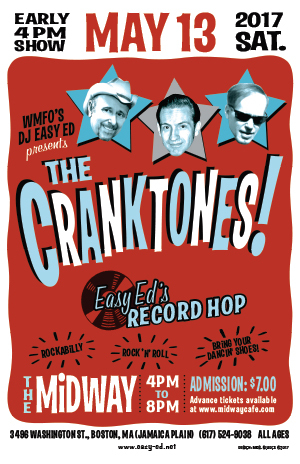 May 13: The Cranktones play the Midway (with Easy Ed's Record Hop). Early show--4:00 PM doors. 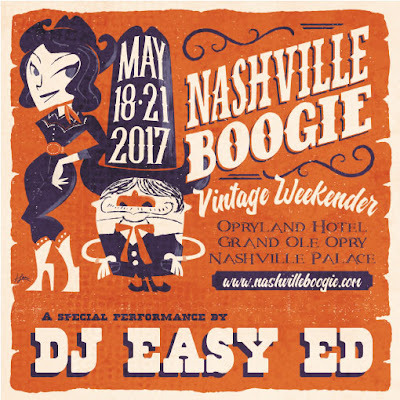 May 18-21: I'm honored and excited about DJing at the Nashville Boogie! Wow, check out that lineup! 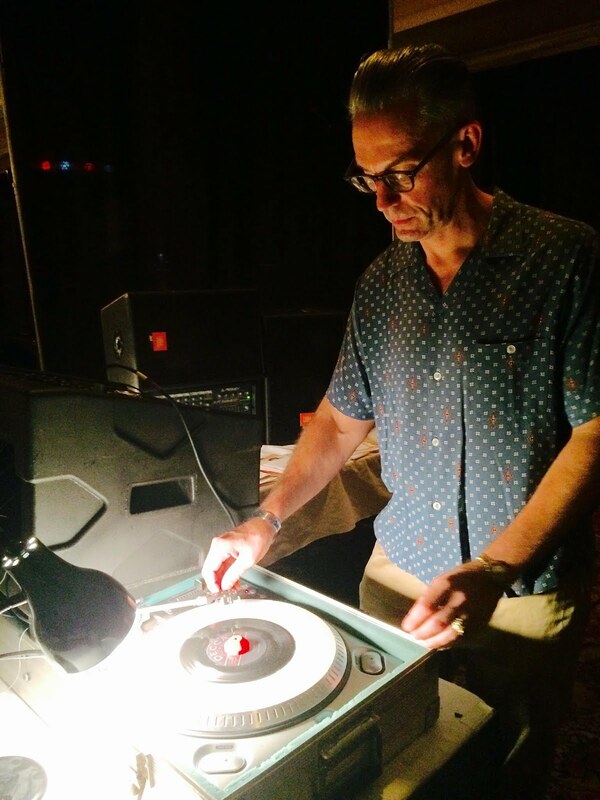 July 22: The Midway's 30th Anniversary Party-. Performances by the Fearless Leaders, The Barley Hoppers, and the Cranktones (with Easy Ed's Record Hop). 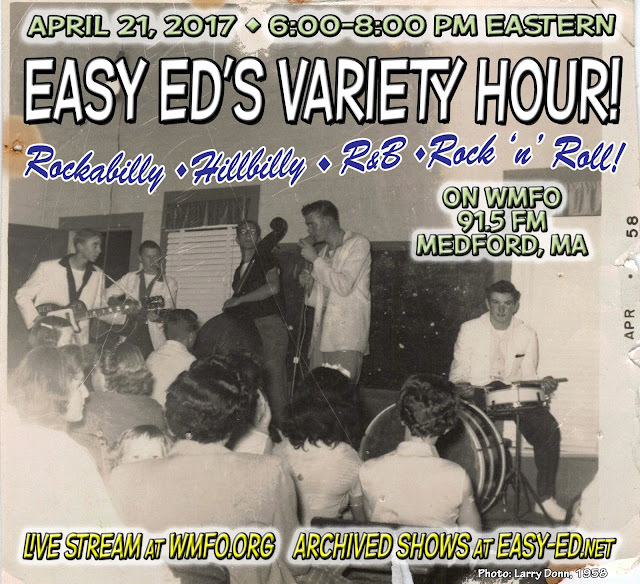 The Cranktones "Too Young to Know Better" from "Vibrate with The Cranktones" on Rhubarb Records -- Don't miss Boston's own Cranktones on May 13 at the Midway in Jamaica Plain, along with Easy Ed’s Record Hop. Hayden Thompson "Trouble on the Line" from "Learning the Game" on Bluelight Records -- Thanks, Bluelight Records, for sending this my way. Albinnia Jones with Sam Price "Hole in the Wall" from "Various: New York City Blues & R&B 1949-54" on Acrobat Music. Really crappy sound quality. Sorry folks. Never trust an MP3 file! The Dappers "Baby You Know You're Wrong" from "Various: The Rhythm Teens" on Norton Records -- Recorded for Event in 1959. but not originally issued. The Sugar Daddys "Saturday Night" from "Saturday Night"
The Kaisers "Little Twister" from "Wishing Street" on Imperial Wireless -- London show June 24th—twenty-fifth anniversary performance, with the Embrooks—who are also great. Just a quick few notes this time. The song list from last night's show (April 7, 2017) appears below. On this show we featured some of the acts appearing next week at Viva Las Vegas, mixed in with new 45s I've found over the last few weeks and lots of other tracks. If you missed the live broadcast you can download the (always free) archive MP3 from here.